California homes are highly susceptible to damage due to dry rot, wood-eating pests, fungal damage and moisture. 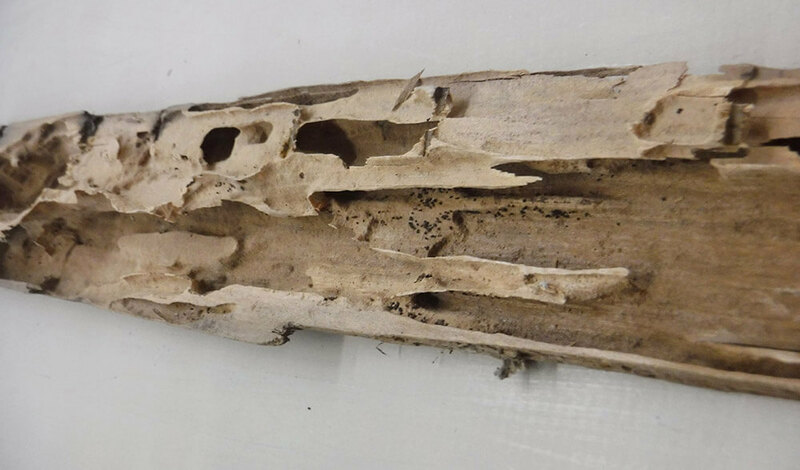 In most cases, aging wooden structures and sheetrock don’t last long when damaged by termites, carpenter bees, boring beetles, moisture, and fungus. Don't wait a single second because you don't need to deal with a deteriorated structure that is not only at an increased risk of structural failure but could also affect the resale value. At Take Care Termite & Pest Control located in Tracy, CA, serving Tri-Valley, Central Valley and other surrounding areas, we are not only well trained and equipped to make the necessary repairs for you, but also take it as our personal responsibility to help you as our client. You can count on our expert repair technicians to fix any structural damage whether it is caused by weather, aging, or insects, in a fast and hassle-free manner. As your local repair specialist we are fully-equipped to perform a thorough assessment of your property and identify structural damage that needs to be addressed immediately. We will also provide you with the best repair options along with an estimate to help you make an informed decision. Being a long-established company, the skills of our repair technicians have been honed by practice. We have a track record of success laid on the foundation of quality, honesty and integrity. Our repair services are cost-effective, rapid and reliable because we aim not for customer satisfaction but for customer delight. Our services are customized to fit both your budget and time frame. Our repair technicians work to add value, function and appeal to your property and extend the same commitment and workmanship to every customer they service. Our repair technicians are trained to complete repairs in a timely and efficient manner without compromising on the quality of work. Our extensive repair experience, high quality standards and attention to detail have enabled us to complete repair projects for real estate transactions, VA loans and periodic home maintenance. Looking for wood destroying pest or organism repair specialists anywhere in Tracy, Tri-Valley, Central Valley and surrounding areas? Call us at (209) 832-7300 for efficient repairs of weakening, aging or rotting structures and re-establish their structural integrity.